For the last fourteen years, our students have helped write the history of this once-great Maya city. AFAR students return to excavate the medieval castle once home to the Calatrava Order of Templar Knights. Investigate the Roman Remains of Coastal Portugal . Join AFAR as we travel to Portugal to investigate Troia, the largest known fish sauce producing site in the Roman Empire. AFAR is looking for students to help investigate the ancient site of Mieza, where Aristotle once taught Alexander the Great. 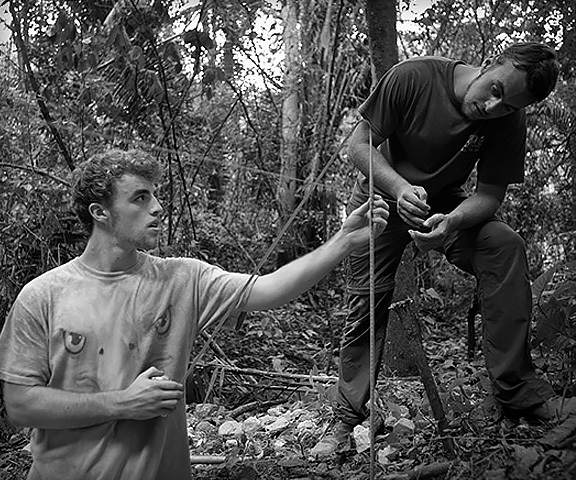 AFAR is a nonprofit organization dedicated to providing pre-collegiate students an opportunity to experience first hand the world of archaeology through onsite excavations or by attending world-class seminars at our Maya conferences. American Foreign Academic Research, more commonly recognized as AFAR, is an organization dedicated to the advancement of archaeological field research, cultural site preservation, and the belief that the science can be advanced through the education and outreach of professionals and non-professionals alike. Read more about our history and mission. The Conch Shell Ink Pot depicted in the AFAR logo was excavated by Catharina E. Santasilia and Antonio Itza in a joint BVAR-AFAR project led by Dr. Jaime Awe in 2011. The artifact dates to the late classic Mayan Period (ca. AD 600-700) and was once utilized as an ink well by a master scribe. Three of the four sections of the shell still contain remnants of the blue, red, and black ink that once filled them making this artifact extremely rare and important. Register to attend an upcoming program. This application will take about 10 minutes to complete. Register to attend one of our two Maya conferences; Maya at the Playa and Maya at the Lago. To make a payment on an upcoming project or donate to AFAR, please fill out our payment form.